Minnesota Twins first baseman Joe Mauer has experienced plenty of success in his 15-year career. Now as the 2018 season draws to a close, the 35-year-old is considering retirement. 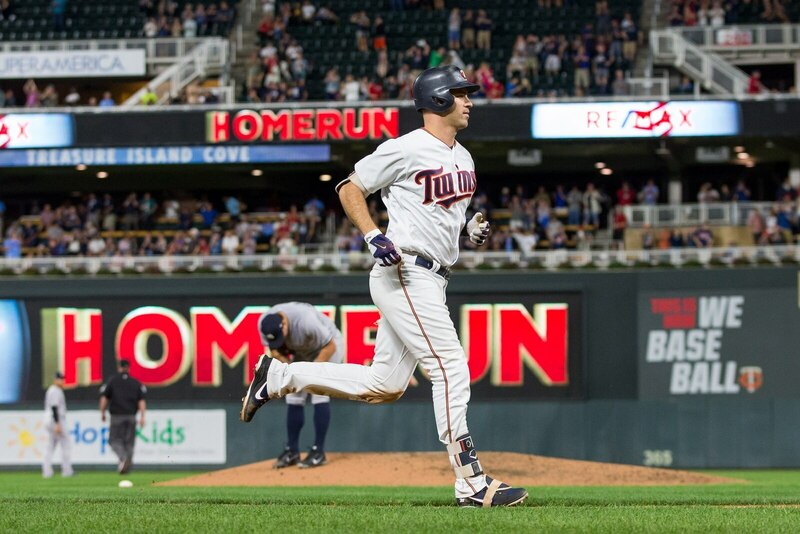 According to the Star Tribune, Mauer indicated he will take his time this offseason evaluating with his family if he will return for his 16th season or retire from baseball after 15 seasons in Minnesota. A star athlete born in Minnesota, the Twins selected Mauer with the No. 1 pick in 2001. In 15 seasons with the Twins, Mauer won the American League’s MVP award in 2009, was a three-time Gold Glove winner and a six-time All-Star catcher. Concussions have repeatedly plagued Mauer’s career and ultimately forced him to move to first base in 2014. If he called it a career after this season, he would finish with over 140 home runs, a .800-plus OPS and .300-plus batting average in his career. While no decision will be made before the season ends, fans in Minnesota will want to enjoy these next few weeks. One of the best catchers in baseball for years and an iconic sports figure in Minnesota could be taking the field for his final games.